April Arts Dearborn, is a project of the Dearborn Recreation Commission Cultural Arts Comittee and coordinated by the Dearborn Community Fund. Arab American National Museum, 13624 Michigan Ave.
A Free Lecture inside the McFadden-Ross House. Learn about the extraordinary lives of four women painted by the portrait Artist John Singer Sargent. Henry Ford Centennial Library, 16301 Michigan Ave.
introduction of new work and more. Recognizing individuals, organizations and businesses who support the arts in the greater Dearborn community. Featuring performances from five separate bands as well as an amazing 200+ musician band finale. A showcase of grades K-12 student artwork. Padzieski Gallery Student Exhibit & Art Demonstrations @ 4pm. Collage performance featuring band, orchestra, choral and theater students from the Dearborn Public Schools @ 7pm. This event is open to the public at no charge. Featuring Larry Chance, The Earls, Joey Dee, The Starliters, The Spaniels, The Crests, Tommy Mara, The Shades of Blues, Ken Brady and The Casinos. Tots and preschoolers are welcome to a playdate with blocks and bricks. Celebrating the future! Hear today’s outstanding young musicians featuring the winners of the Youth Artist Solo Competition and the DYS side-by-side! • Garden Club of Dearborn: 313.562.7524.
will run every 30 – 35 minutes. Participants must visit and obtain stamps from at least five different galleries to enter contest. 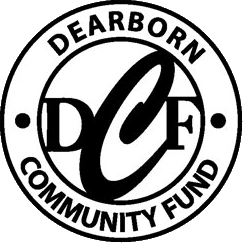 Drawing will take place “LIVE” Tuesday, April 30th at 2pm on the Dearborn Community Fund’s Facebook page. Chariot Transport is a professionally managed transportation company with a strict adherence to quality and industry safety standards. Enjoy an inspirational, engaging art show (4 p.m.) AND upbeat, entertaining free vocal and instrumental performances at 7 p.m. at the Youth Arts Festival and Opening to the 2018 City-Wide Dearborn Public Schools Student Art Show. Featuring visual art, vocal performances and instrumental music by hundreds of talented Dearborn students from elementary, high schools and Henry Ford College. Free admission! Presented by: Dearborn Community Fund (DCF) and the Dearborn Public Schools. Time: 4:10 to 8:30 p.m.
4:00pm – 5:30pm – Visual Arts. Opening Reception for Dearborn Public Schools Ci…ty Wide Art Show featuring artwork from students in kindergarten through high school. 5:30pm – Senior Spotlight. High school seniors share insights about their artwork in specially featured exhibits. 7:00pm – 8:00pm – Collage Musical Performance. Instrumental, choral and theater selections by students in elementary through high school and “Henry Ford College. Kickoff April Arts Dearborn at the Arty Party on Saturday, April 7th at this new & exciting, soon to be permanent gallery location. Meet the Pop-Up Gallery Artists. Enjoy good conversation, music and entertainment. No cover, BUT donations to help support April Arts Month will be appreciated. “Look” at the April calendar of events that will let you know when you can “look” at art exhibits and demonstrations across the city all month long. Find the calendar on Facebook/Arts Dearborn, pick up a copy at a Dearborn Library, the Ford Community & Performing Arts Center, or a variety of local businesses. “Look, listen and learn” more about the arts and their impact on Dearborn students at the annual Youth Arts Festival on April 25 at the Ford Community & Performing Arts Center. Hundreds of students will participate in the city-wide art exhibit that opens at 4 p.m. and collage concert at 7 p.m., offering a fast paced variety show of vocal, instrumental and theater performances. All are welcome, admission is free. The annual Mayor’s Arts Awards on April 10 at 7 p.m. provides an opportunity to learn more about and celebrate individuals, organizations and patrons that promote and support the arts. Admission is free to attend this event coordinated by the Dearborn Community Arts Council (DCAC) in beautiful Studio A at the Ford Community & Performing Arts Center. A number of local businesses are promoting art in Dearborn by hosting artists in their establishments during April. The Business in the Arts-Artists in Action program provides an opportunity to observe and interact with artists working in a variety of mediums including oil and water color painting, performing music, and rug hooking. Details about all April Arts Dearborn opportunities are included in a special calendar available after March 25 online on the April Arts Dearborn Facebook page. Printed copies of the calendar area available at Dearborn Public Library locations, the Ford Community & Performing Arts Center, participating art galleries and a variety of local businesses. Support for Arts Dearborn has been provided by the East Dearborn Downtown Development Authority, West Dearborn Downtown Development Authority, the City of Dearborn and J. Kondziela. Additional Funding has been made available from the National Endowment for the Arts, Michigan Council for Arts & Cultural Affairs and Culture Source. Arts Dearborn is coordinated by the Dearborn Community Fund in cooperation with community cultural organization members of the Dearborn Recreation Commission Cultural Arts Committee. Committee organizations include: Arab American National Museum; Dearborn Community Arts Council, Dearborn Community Fund, Dearborn Public Schools (Art & Music); Dearborn Recreation Commission; Dearborn Symphony Orchestra, Dearborn Youth Symphony; Friends of the Dearborn Symphony; Motor City Brass Band; and Players Guild of Dearborn. To request a printed calendar, contact the Dearborn Community Fund by phone at 313-943-5478 or email dearborncommunityfund@ci.dearborn.mi.us. McKenzie Fine Arts Bldg. 5101 Evergreen Rd. Mardigian Library 3rd Floor UM Dearborn 4901 Evergreen Rd. Rotunda Gallery 16301 Michigan Ave.
Ford Community & Performing Arts Center 15801 Michigan Ave.
Headspace Gallery 13936 Michigan Ave.
April 1 thru April 3 Tour the HFCL Children’s Area (open to close). Learn about favorite picture book illustrators. Complete a passport to enter a raffle. Henry Ford Centennial Library, 16301 Michigan Ave. Dearborn Mi. April 2; 11am – 4pm Coloring Day: All Ages Materials provided. Henry Ford Centennial Library, 16301 Michigan Ave. Dearborn Mi. April 3; 11am – 4pm Name Mosaics Craft All Ages Materials provided while supplies last. Henry Ford Centennial Library, 16301 Michigan Ave. Dearborn Mi. April 3; 2pm Theater Workshop with 4th Wall Theatre Ages 8 -14 Learn singing, dance and acting techniques. Space is limited! Henry Ford Centennial Library, 16301 Michigan Ave. Dearborn Mi. April 3; 7pm Friends of the Library-Dearborn (FOLD). Guest Speaker & book signing with Debra Ann Pawlak, co-author of Sara Emma Edmons (Solider, Spy, Heroine). No Charge. Henry Ford Centennial Library, 16301 Michigan Ave. Dearborn Mi. April 4; 9:30am – 6pm Friends of the Library-Dearborn (FOLD) Book & Media Sale No Charge. Henry Ford Centennial Library, 16301 Michigan Ave. Dearborn Mi. April 4; 12pm A Community discussion based on Jhumpa Lahiri’s novel: “The Namesake,” the 2018 Big Read selection (in conjunction with HFCL). Russell J. Ebeid Library & Resource Center. No charge. RSVP at: arabamericanmuseum. org/the-namesake. Arab American National Museum, 13624 Michigan Ave. Dearborn Mi. April 4; 11am – 4pm Caterpillar Craft All Ages Materials provided while supplies last. Henry Ford Centennial Library, 16301 Michigan Ave. Dearborn Mi. April 4; 4pm Lego Club: Ages 3+ Practice building skills with the library’s LEGO and DUPLO blocks. No registration required; space is limited! Henry Ford Centennial Library, 16301 Michigan Ave. Dearborn Mi. April 5; 11am – 4pm Rainbow Craft: All Ages Materials provided while supplies last. Henry Ford Centennial Library, 16301 Michigan Ave. Dearborn Mi. April 5; 2pm Art Attack: 7th grade+ Transform an old painting by adding your own artistic twist. Bring your own or use one provided by HFCL. No parents or younger siblings. No registration required. Henry Ford Centennial Library, 16301 Michigan Ave. Dearborn Mi. April 7; 2pm Grafitti Names: Grades 4 & up Use markers to decorate a tile “tagger style.” No younger siblings. Registration required. Henry Ford Centennial Library, 16301 Michigan Ave. Dearborn Mi. April 10, 17, 24; 4pm Big Read Storytimes: Ages 2 – 6 Stories include: Indian folktales, naming stories, train stories and more. No registration required but space is limited! Henry Ford Centennial Library, 16301 Michigan Ave. Dearborn Mi. April 13; 8pm Dearborn Symphony presents “Best of Broadway,” celebrating 70 years of Tony Award winning classics with Conductor Rich Ridenour. Ticket prices vary. Purchase at box office, online at Dearbornsymphony.org or call 313-565-2424. Michael A. Guido Theater | Ford Community & Performing Arts Center, 15801 Michigan Ave. Dearborn Mi. April 18; 10:30am Busy Bags: Ages 3 – 5 You make and take early literacy based activity bags for your child. Toys provided to entertain your child while you work. Registration required and starts April 4. Henry Ford Centennial Library, 16301 Michigan Ave. Dearborn Mi. April 19; 11am – 7pm Third Thursday Craft: All Ages Flower that Bloom in the Spring. Younger children may need adult assistance. Craft available while supplies last. Henry Ford Centennial Library, 16301 Michigan Ave. Dearborn Mi. April 25 Youth Arts Festival 4pm Padzieski Gallery Student Exhibit & Art Demonstrations 7pm Collage performance featuring band, orchestra, choral and theater students from the Dearborn Public Schools. This event is open to the public at no charge. Michael A. Guido Theater | Ford Community & Performing Arts Center, 15801 Michigan Ave. Dearborn Mi. April 28; 10:30am English-Arabic Storytime Ages 2 – 6; Russell J. Ebeid Library & Resource Center at AANM. Free with online reservation at: arabamerican museum.org/ Storytime. Arab American National Museum, 13624 Michigan Ave. Dearborn Mi. Garden Club of Dearborn: 313.562.7524. Sisson Gallery, McKenzie Fine Arts Bldg., 5101 Evergreen Rd. Glass Academy 25331 Trowbridge St.
Alfred Berkowitz Gallery Mardigian Library, 3rd Floor UM Dearborn 4901 Evergreen Rd. Green Brain Comics, Headspace Gallery 13936 Michigan Ave. Sponsored by The Michigan Council for the Arts & Cultural Affairs, Cultural Source, The National Endowment for the Arts, The Dearborn Community Fund, East Dearborn Downtown Development Authority West Dearborn Downtown Development Authority Dearborn Community Fund J. Kondziela.